Tonight, we feast! 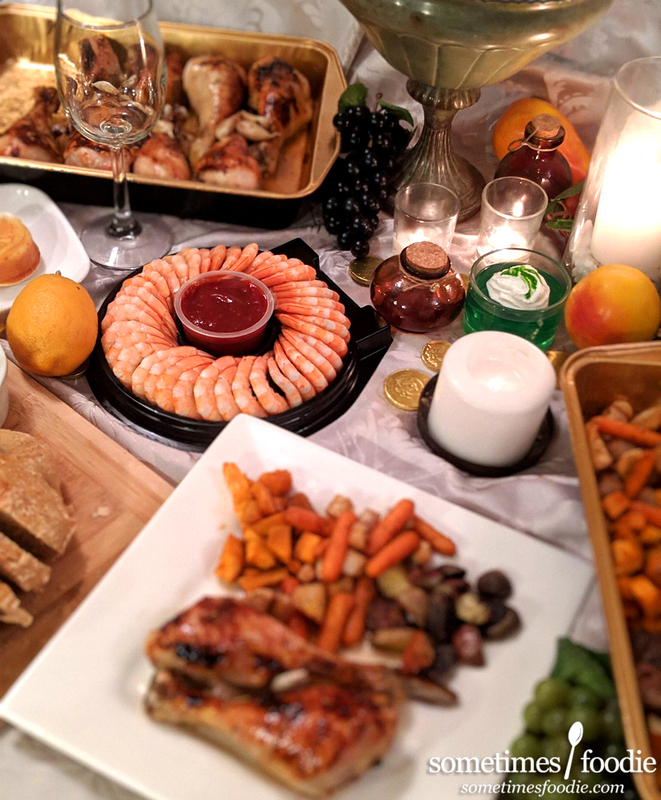 My family celebrated the return of Game of Thrones with a fancy dinner, and I thought I would share our menu. We aimed for more rustic fair, similar to stuff possibly eaten on the show, with a few themed novelties mixed in. 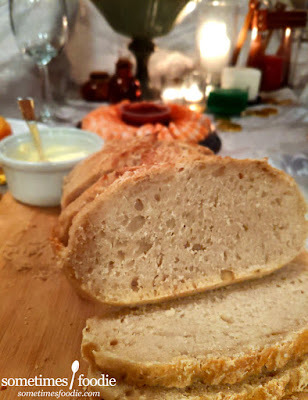 To kick things off, we had some rustic fresh-baked bread with salted butter, and a shrimp ring with cocktail sauce. 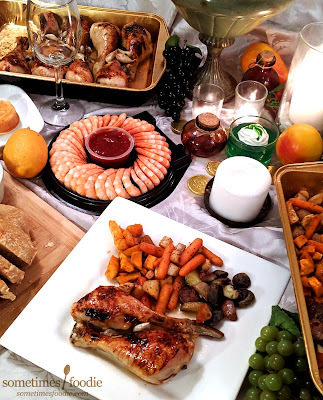 (The shrimp ring isn't exactly on-theme, but who doesn't want shrimp at a dinner party? Let's just call them "dragon tails.") If you want to be more rustic, and on-theme, a fruit and cheese plate would be more aesthetically pleasing, but we wanted shrimp! My sister created old fashioned, individual, standing crust pot-pies for everyone. 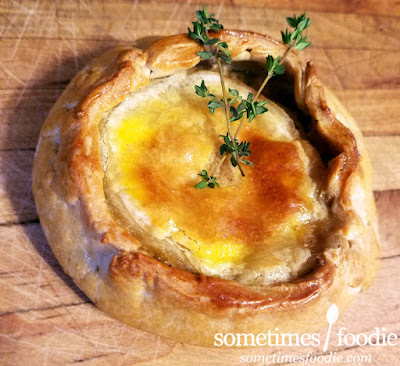 They look like something Hot Pie would have served at the inn! Crust Recipe | The filling was cobbled together using 2 different recipes. 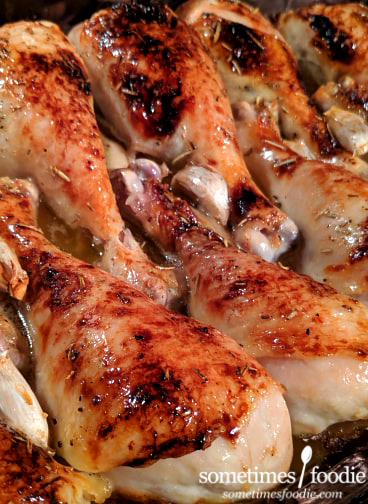 As our main, we have garlic roasted chicken legs with a honey glaze. The chicken legs were somewhat inspired by the giant turkey legs sold at the Ren-Faire mixed with Sandor's love of chickens. 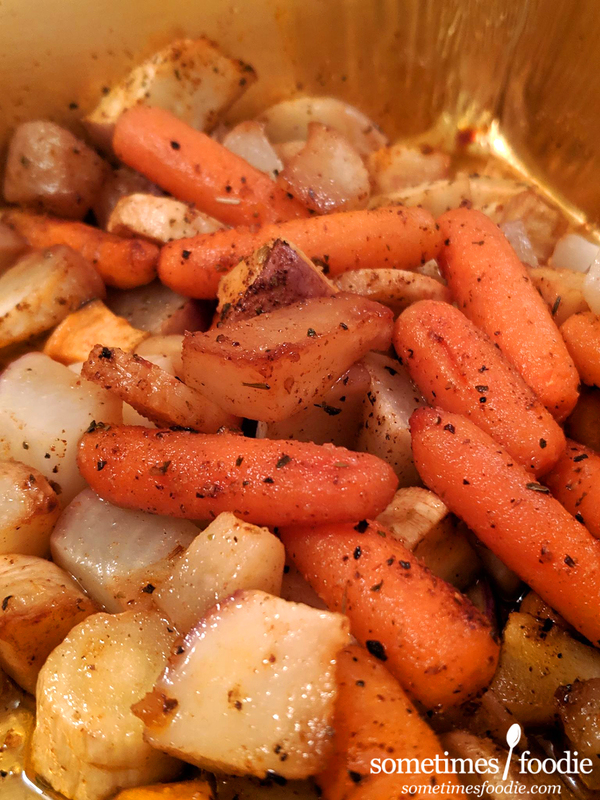 For the veggies I kept the seasoning simple, the sweet potatoes were lightly sweetened with brown sugar and maple syrup with a dusting of sea salt, black pepper and paprika. The rest were mixed with olive oil, salt, pepper, chopped garlic cloves, paprika, a bit of dark chili powder, and some parsley. I made Sansa's Lemon Cakes, but instead of using a sheet pan and cutting individual cakes after baking (like the recipe suggested), I used a muffin tin to make individual cakes. 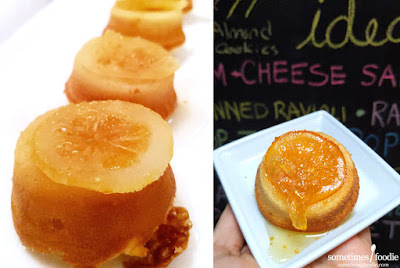 If you follow this recipe I recommend doing the same, which lessens baking time, and I insist that you do NOT skip the syrup and candied lemons. They MAKE the dish and look oh-so fancy. Leftover candied lemons would be great in mixed drinks, lemonades, or cups of tea. The lemons alone were a HUGE hit with my fiance. 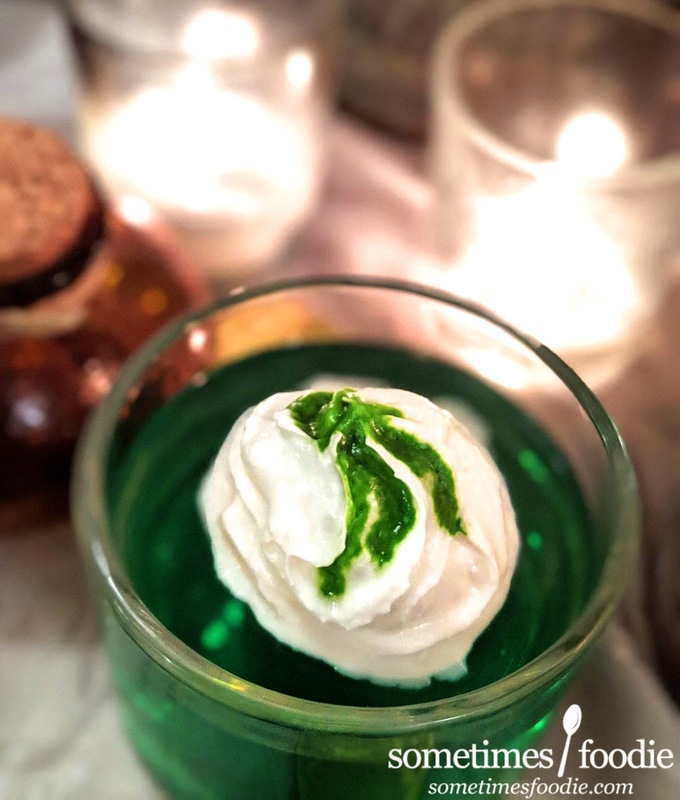 We also had mini pots of "wild fire," which were just cups of lime jello topped with whipped cream and a few drops of green food coloring. Super easy, and if you used fancy containers, would look really legit. I followed the recipe on the back of the jello box, but switched the cup of cold water out for a cup of cold lemon-lime soda. 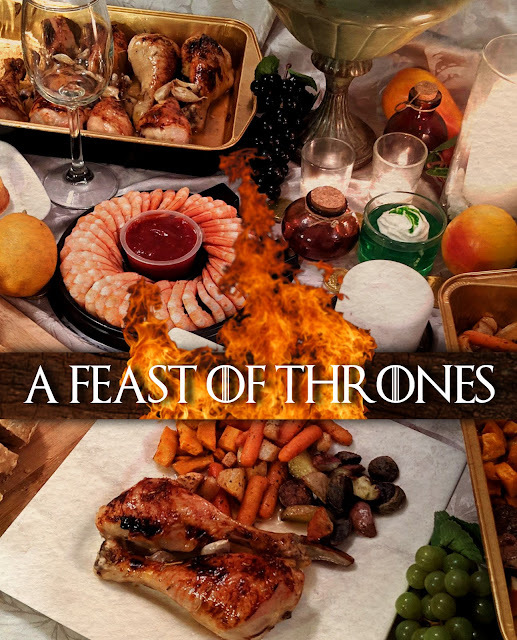 Lastly, we had some "Lannister Gold" chocolate coins to snack on, and we sipped on sparkling apple cider and white grape juice (since we all have work tomorrow). The coins were in the Easter candy aisle, and were really cheap, and the cider was supplied by my mom. You can see the coins scattered around the table which added to the table-scape.